Get inspired to wear a jumpsuit this season. 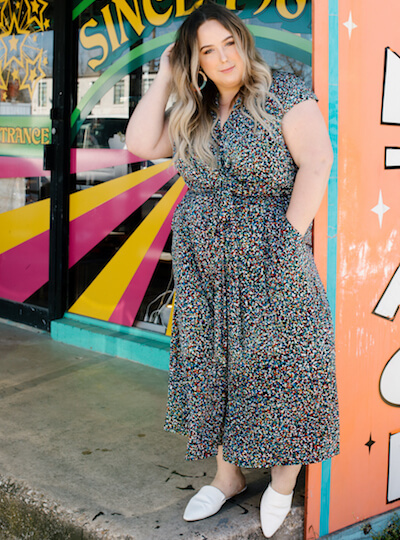 It’s the perfect one-and-done outfit that can be worn by any body shape. We love jumpsuits. They’re essentially an all-in-one outfit that requires minimal styling and effort. 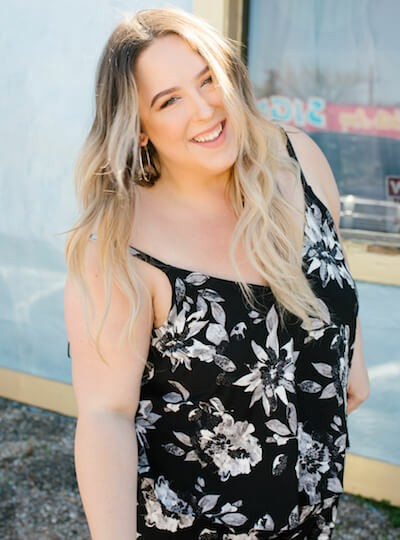 Jumpsuits encapsulate everything we love about dresses, but with a new silhouette and significantly less thigh chafing. 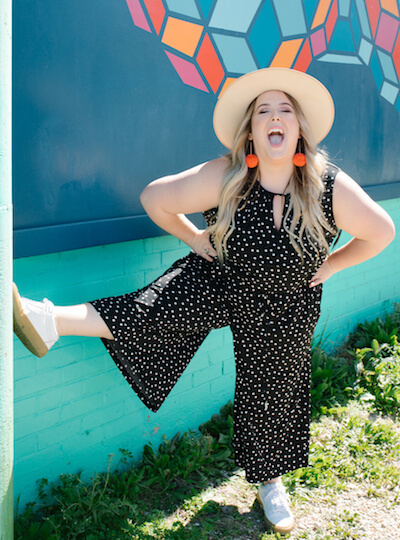 Jumpsuits can be dressed up with glam jewelry and heels or dressed down with sneakers and a straw hat. 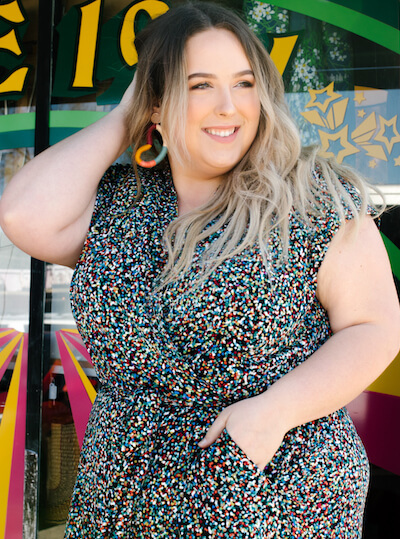 Check out 4 of our favorite plus-size jumpsuits to wear this spring below. We’re going dotty for this polka-dotted jumpsuit. Liven up a black and white piece with playful accessories. 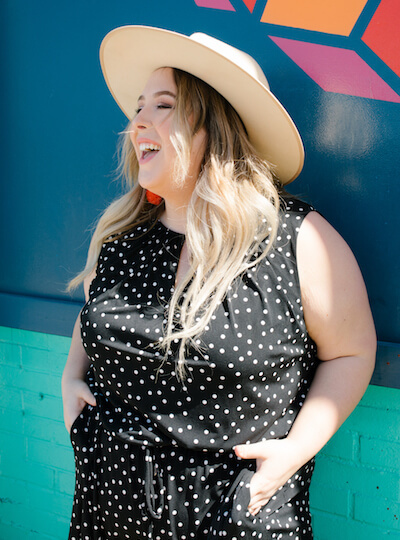 Bold earrings, simple sneakers, and a straw hat liven up this classic black-and-white polka-dot print. A jumpsuit in a ribbed knit makes for the perfect comfy outfit. When elevated with chunky heels, this jumpsuit can go just about anywhere. Elastic at the waist helps define your shape, while the pockets make for a perfectly practical option. A wrap jumpsuit in a colorful dot print can easily go from work to drinks. The colorful print is subtle enough for the office and fun enough for happy hour. Play up the colors in the jumpsuit with oversized earrings in a bold color palette. Black and white is a totally chic color combo for spring. This classic color palette gets a modern update in this floral jumpsuit. This jumpsuit may look like a matching set, but its one-piece style makes getting ready in the morning a total breeze. Are you ready to get a jumpsuit in your next Dia Box? Let your Dia Stylist know your preference so you can jump on this hot trend. 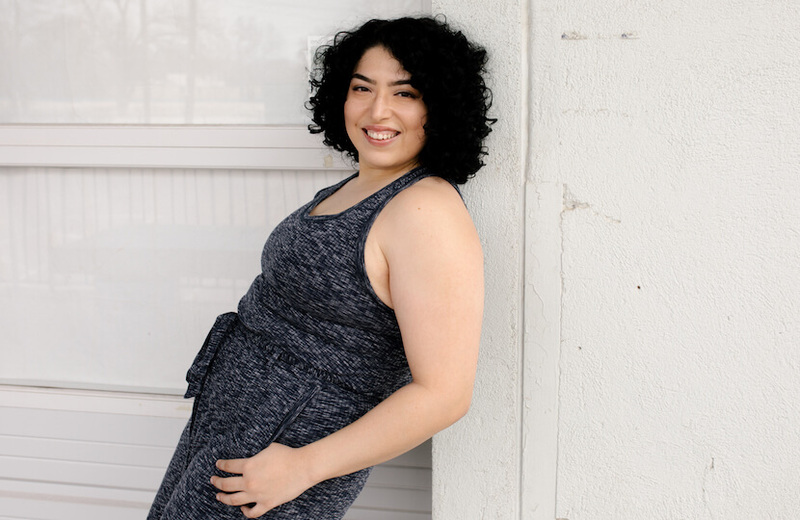 Be sure to snap a photo of yourself in your jumpsuit and post with #mydiastyle so we can see how fantastic you look!